Tonight, St Clears’ Dale ‘Big Boy’ Evans (13-3-2, 4KO) has the chance of fulfilling a life long dream and to completely gatecrash the party of Penge’s Bradley Skeete (26-1, 12KO) in the process. The British title fight, which headlines Frank Warren’s show and will be broadcast live on BT Sport’s linkup with BoxNation, is set up to showcase ‘Super’ Skeete one last time at domestic level before he moves towards world honours later in 2017. However, Evans has been fully briefed by St Joseph’s Boxing Club trainer Tony Borg with their mission to rip up the script. One interesting aspect of the duo’s homework has been to take notes from Colin Jones’ dramatic come from behind knockouts of Kirkland Laing in a similar style matchup. The hard-hitting West Walian is fully aware of the tricky hurdles he’s been tasked with and has confidence in his punching power being the difference. Evans has spent time visualising an outcome like Jones enjoyed for the same Lord Lonsdale strap nearly 40 years ago. Evans said: “He [Skeete] is a good fighter, very good boxer and a boxing man would probably say he’ll box the ears off me. There may be a few rounds during the fight he will do that, that’s his style and that’s how our styles will collide, there may be some rounds I get a lesson but I’m dangerous when I’m inside. Very dangerous. Four weeks ago, Skeete defended his belt for the second occasion, routinely halting Shayne Singleton inside five sessions. Skeete started cautiously until his aggression grew and the long range sharp shooting overpowered his outclassed opponent. Evans was sat on his sofa at home when Skeete signalled his intention for a quick turnaround during the post-fight interview. Since it was officially made, the mandatory challenger has been determined to give the champion a much sterner obstacle to overcome in his next outing. 25-year-old Evans, who is due to fight at approximately 8pm, said: “I knew the fight was going that way. Singleton started off well, that’s what it looked like but I think Bradley let him do that. When Bradley wanted to get out of first gear, he stepped it up and bullied Singleton. Elsewhere on the show, Larry ‘The Natural’ Ekundayo takes on Gary Corcoran, who is in his first significant fight since moving down in weight after being knocked out by Liam Williams. Two years ago, Ekundayo stopped Evans in five rounds of an eliminator at the iconic York Hall. The Welshman believes Skeete’s team will have scouted him at that outing, though they’d be wrong to over analyse the below par effort he gave. Sending a warning order, Evans said: “With that terrible performance against Larry Ekundayo, who is also on the bill, I know some of Bradley’s team were there and they’re probably going to go off that. Yesterday, the pair weighed-in at the studios of BT Sport. 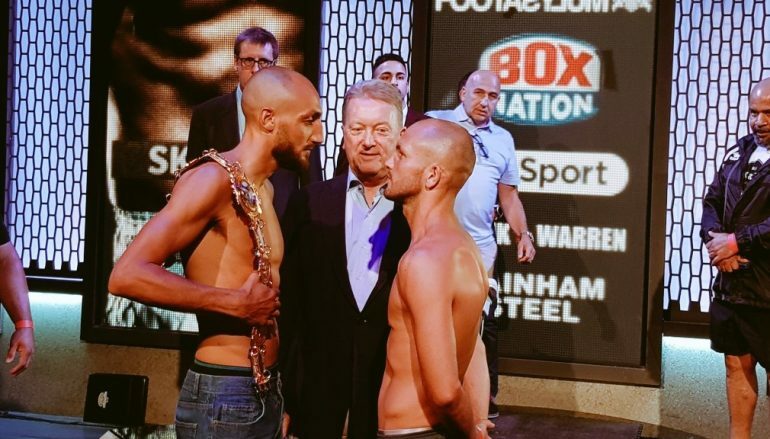 The height difference was significantly evident in six-foot Skeete’s favour as he tipped the scales at 10st 6lbs 4oz – just under the welterweight limit. Evans, who has admittedly struggled with the championship limit on a few occasions in the past, was a comparative 10st 5lbs. It’s the lightest he’s been in his six year career and Evans, whose nutrition is organised by meal preparation company Taste Buddies, insists that he’s finally cracked the process ahead of his appearance at London’s CopperBox Arena. Oddsmakers have priced Evans as wide as 9/1 to win via any method and 18/1 to do it via stoppage or knockout. 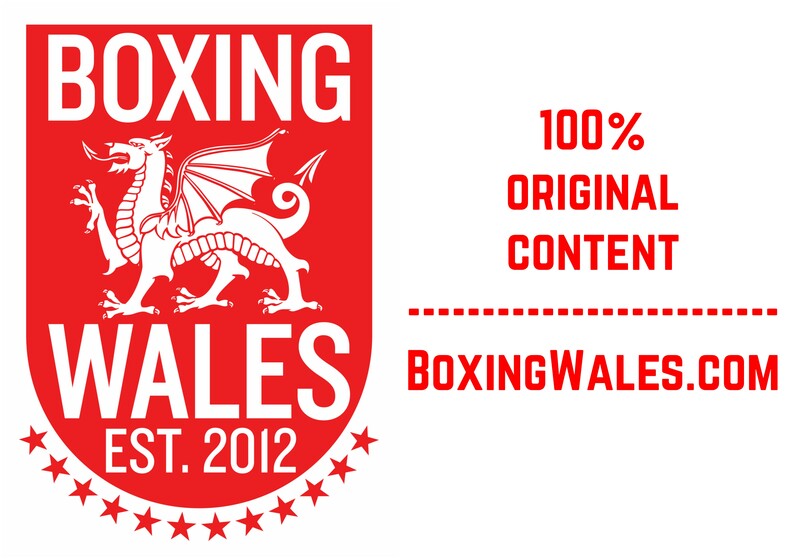 While a Welsh win over Skeete would deservedly be labelled an upset, the outcome is by no means a formality and Evans’ puncher’s chance could be increased if the reigning champion misjudges the task ahead… even for as little as one exchange.